Civilization is overrun by chomping death, but this unusually thoughtful zombie movie demonstrates plenty of life. 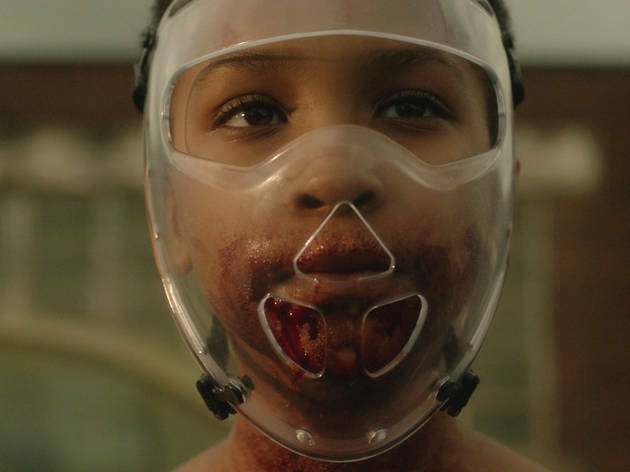 Easily the best thing to happen to the undead since 28 Days Later, Colm McCarthy’s The Girl with All the Gifts peps up its tired old zombie blood with fresh ideas, some unusually poetic imagery and a dark end-of-civilization aftertaste. Here the monsters are called "hungries"—jaw-snapping fast things that don't feel the need to constantly moan or gasp. Most of the time, they’re standing completely still, as if asleep, waiting for the dinner call. It’s an eerie revision to the usual lumbering stroll. But the plot itself races ahead from the get-go: In a post-apocalyptic military bunker somewhere below a ruined England, precocious children like Melanie (Sennia Nanua, a bright newcomer) are strapped into wheelchairs and escorted by armed guards to their classroom. Soon enough, we learn why, as the merest scent of human flesh sends the kids into a writhing, drooling frenzy. They're human experiments that walk the line between normal behavior and the crazy-making fungal infection that's killed the world above. M.R. Carey's screenplay, a spin on his own 2014 novel, launches a steady stream of off-kilter surprises. When the base is overrun by a sickening attack—one that puts the carnage in The Walking Dead to shame—Melanie is smuggled out by a tense, bickering trio: her dangerously affectionate teacher (Gemma Arterton), a surly sergeant (Paddy Considine) and the all-business scientist nearing a vaccine (Glenn Close, completing the most formidable horror cast in years). The Girl With All the Gifts then becomes a riot of surreal visions: Melanie is strapped to a chair on top of a convoy truck (it's too risky to let her ride inside), while the survivors cruise through a quiet, enchanted forest. It must be years since the end of the world, judging from all the green foliage. As this makeshift family bonds, Melanie takes on more responsibilities, hunting down resources for the group. The movie is a coming-of-age story, but whose age is coming? That's the profound question we're left with, in a stellar adaptation that balances gore with black humor, ethical quandary, hope and—yes—plenty of brains.